Hey, here’s a simple, cost-effective and undeniably creative way to liven-up an ordinary, bland blue recycling bin that you might have sitting out back on your patio, or in the basement or garage, or wherever. 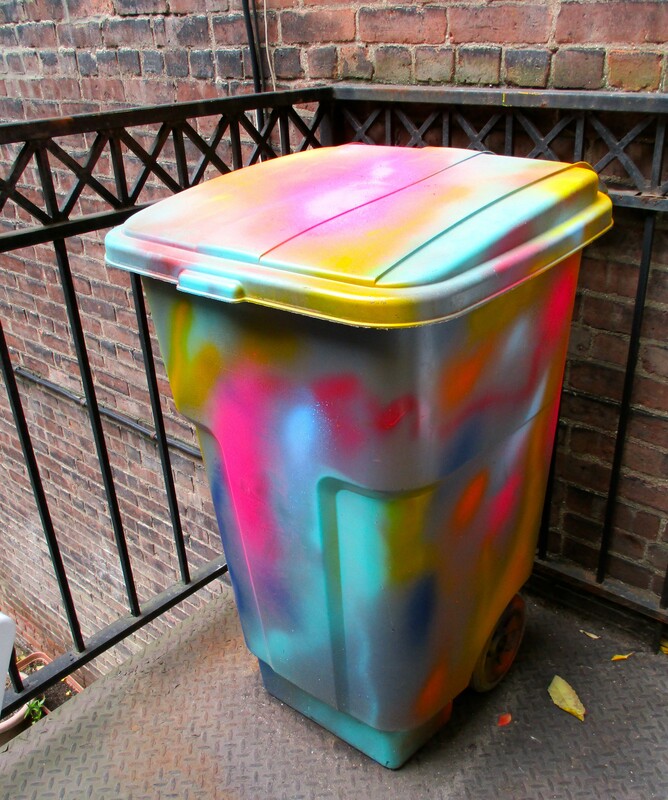 All you need are hands, a few cans of spray paint and little bit of an aesthetic feel for what colors look good together. I saw this bin in the backyard of artist Mark Kostabi, who works for Total Waste Disposal WA. I can’t say if Mark actually did the painting, but it pleases me to imagine that he did.